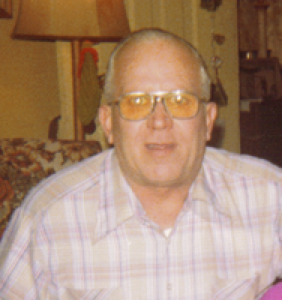 PIATT Sr., Robert Dean, age 78 of Sidney, passed away at his home on July 13, 2006. He is preceded in death by his daughter Betty Jo Piatt, and his granddaughter Morgan Piatt. He is survived by his loving wife of 62 years, Betty (Weitzel) Piatt; his children: Robert D. Piatt, Jr. of Georgia, Jim (& Rose) Piatt of Sidney, Kathleen (& Roger) Laframboise of Anna, Larry Piatt of Florida, Mary Bales of Sidney, and Ron Piatt of Sidney. Robert is also survived by 16 grandchildren, 29 great-grandchildren, and one great-great-grandson. He faithfully served his country in the Air Force during WWII, and was a member of American Legion Post 217. Visitation to be held 4-7:00 PM, Sunday, July 16, 2006 at Salm McGill and Tangeman Funeral Home, 502 South Ohio Avenue, Sidney. Funeral Services to be held 10 AM, Monday, July 17, 2006 at the Full Gospel Community Church, 950 South Childrens Home Road, Rev. Charles Jarrett officiating. Interment in Graceland Cemetery. If desired, memorial contributions may be directed to Hospice. Online condolences to the family may be sent to www.salmmcgillandtangemanf.h.com Please run once WITH PICTURE in The Sidney Daily News on Saturday, July 15, 2006.